The HP StoreEver 1/8 G2 Tape Autoloader provides a cost-effective, easy-to-install, unattended backup that is ideal for an entry-level or remote office automated backup solution. 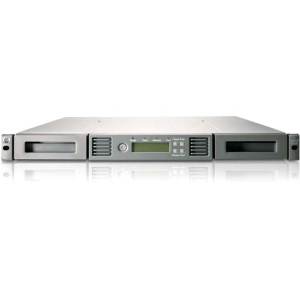 The HP 1/8 G2 autoloader combines incredible storage density and tape library features into a compact 1U form factor. 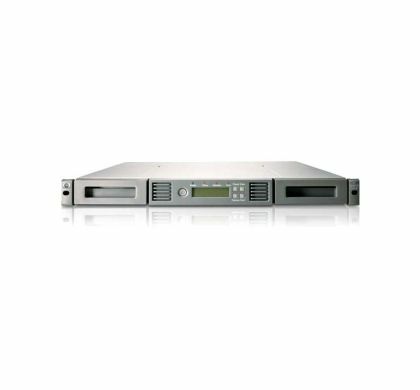 Capable of up to 24TB of compressed capacity in only a 1U form factor, the autoloader is well equipped to offer room for uncertain data growth. Web-based remote management offers the capability to quickly and easily access, configure, monitor, and troubleshoot the autoloader that will reduce dependencies on local IT staff while allowing multiple sites to be supported centrally. Protect confidential business information with native encryption, ensuring that if a tape is lost or stolen your data is protected from unauthorized access. Proactively monitor utilization, operational performance, as well as life and health information for both the drive and media with TapeAssure.